Maybe the most difficult decision regarding the outsourcing is to find the right OSP. It is useful to go through the checklist of issues to consider when selecting an OSP. For this post, we will look at three themes: background, characteristics of the OSP and their staff. Many accounting firms ignore the important background on the Outsource service provider. In the age when accounting firms are bombarded with emails and phone calls offering services, it’s difficult to readily appreciate that there are critical issues that should be examined when selecting a provider. What is the political culture and level of government support, including political stability? Are there any significant differences from the host country? What are the characteristics of geography and location of OSP, including climatic influences? How is the community culture like? Is there any cost and labour arbitrage including inflation and exchange rates? What is the time zone? Is there any possibility of extending business hours due to time zone difference? Finding out more about the Outsource service provider is critical to ensure there is a good match between the accounting firm, and the Outsource service provider. Company culture, what is the culture, and how does it match the culture of the accounting firm. Who owns the OSP? Is it an independent entity or part of a larger group? 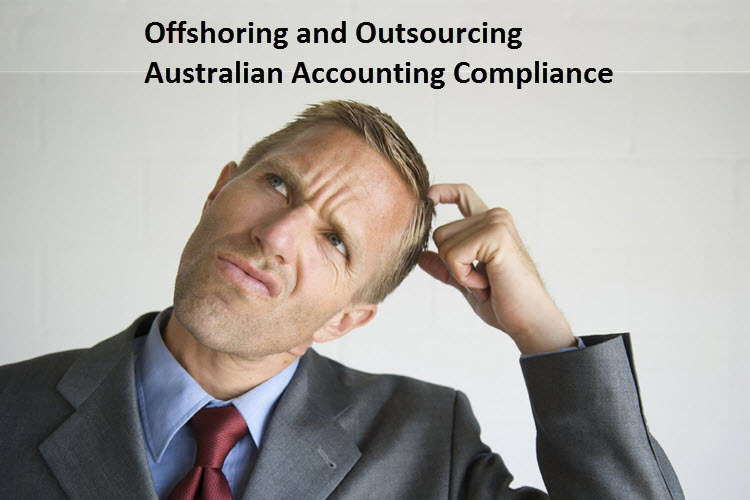 Does the OSP focus on Australian compliance work, or does their entity perform all outsourcing including call centres, or does the entity service many different markets. Who will be the OSP contracting entity if there is more than one entity in the group? And under what jurisdiction? IS the person signing the engagement letter an Australian citizen? Experience in BPO services being offered – is the work you want to outsource an area they are expert in? Do they focus on Australian compliance? Is the OSP reliable and flexible? What does the market say about them? Speak with the CEO and talk about their flexibility to grow or shrink with your firm. What is the size of the OSP, including financial strength? How many employees, do they own their own premises, is their office full or do they have space to expand if needed. Is the OSP a member of a professional Australian and local accounting body? Does the OSP hold an appropriate certification of public practice with a professional accounting body? Is the OSP registered to undertake tax work in your jurisdiction? Are they required to comply with the same TPB rules as your firm? Is the OSP a recognised accounting body in their local market? Does the OSP have contingency and business continuity plans? Does the OSP comply with local quality control standards? What are the employment conditions at the OSP? Have a look at their online video, or better yet go visit. Is there any potential for change in ownership? How old are the owners? Consider quality of work output? What does the market say. What is the level of management depth? Is there any succession planning. Consider also the length of time the OSP has been in business which will give an idea of the bedding in of systems and procedures. Has the OSP documented its operating policies and procedures? Including disaster recovery and business continuity plans. What business models are available from the OSP? Confirm the business hours of the OSP. Where are the staff based? Where is the work actually done? Are the staff sufficiently supervised? Are there sufficient staff with the necessary professional competencies and skills? What professional qualifications do the staff hold? How many staff are working in the OSP? How are staff trained in the services to be provided? How are staff kept up-to-date with applicable accounting regulations, standards and tax legislation? The issues to consider when choosing an OSP do not end here. You can check the next post covering work, security, implementation, legal, and digital footprint issues.